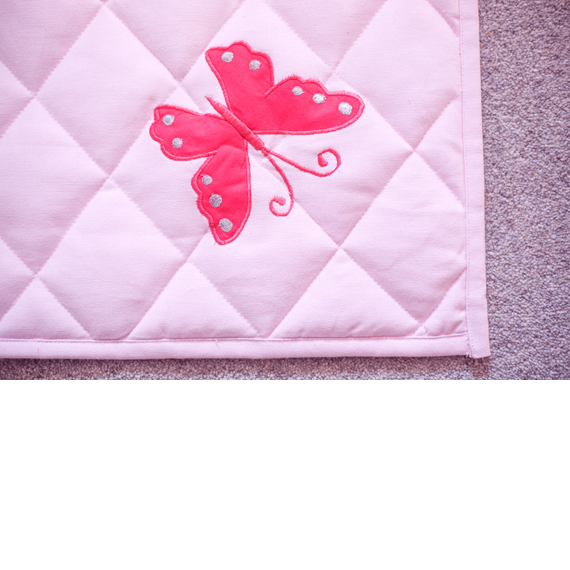 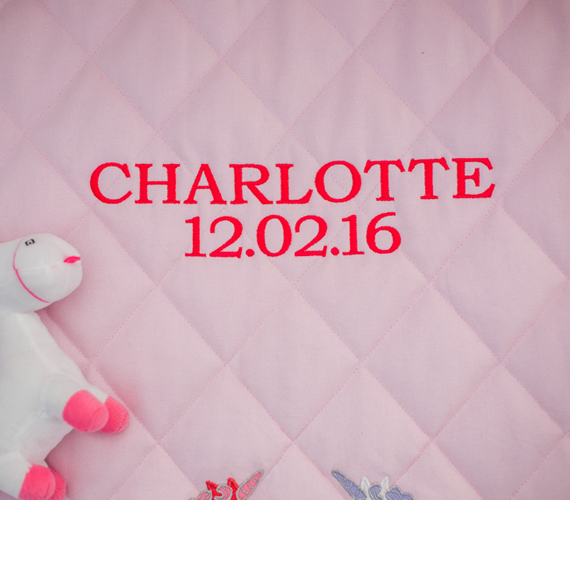 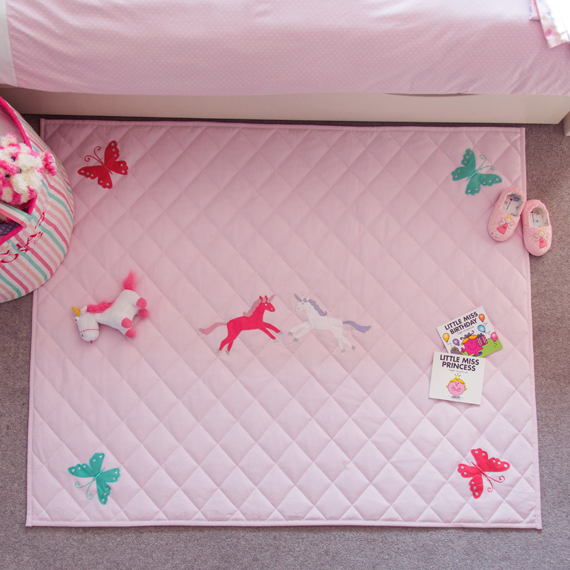 This 100% cotton Unicorn and Butterfly themed floor mat features 2 beautiful hand embroidered and appliqued unicorns and 4 pretty butterflies. 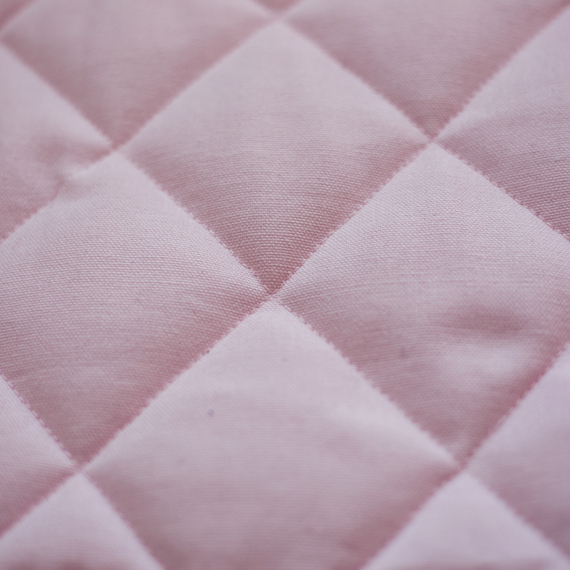 The reverse side is in a pretty stripe. 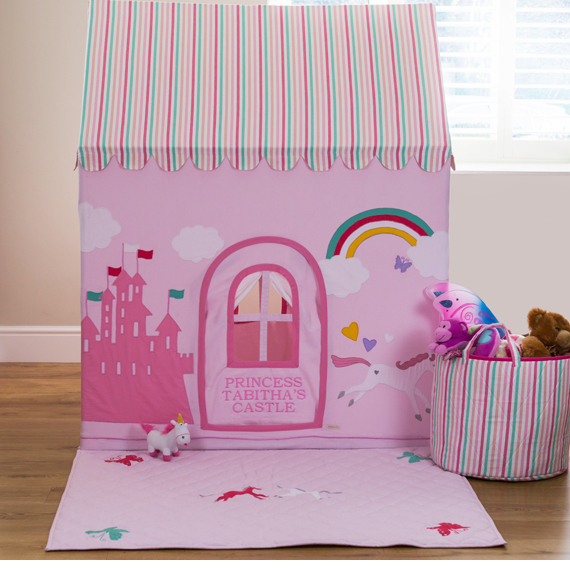 The floor quilt fits perfectly inside the large Princess Castle and Unicorn Playhouse. 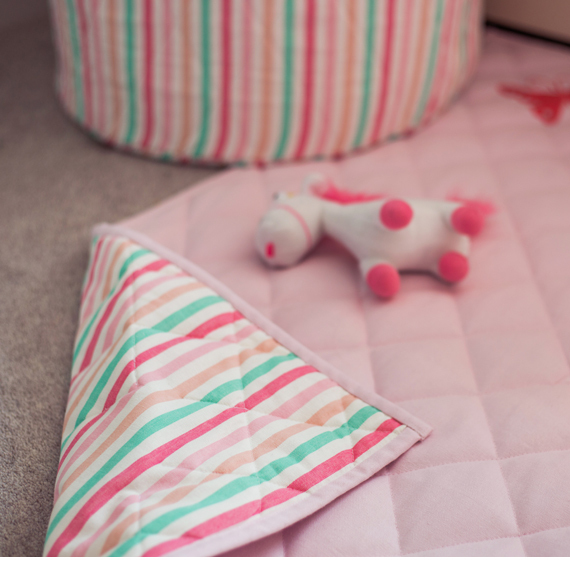 A co-ordinating toy storage basket in pink multi-striped is also available.